The Busy Giffs: Ready for the NEW Live Action Beauty and Beast with Great Pretenders! Ready for the NEW Live Action Beauty and Beast with Great Pretenders! The new Live Action Beauty and the Beast, starring Emma Watson is coming out next week! I will admit, I was a bit apprehensive about it. I am a die hard Disney fan and you just don't mess with the classics... 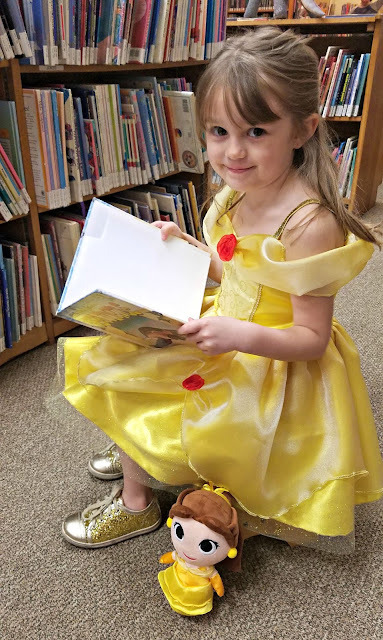 However, since Beauty and the Beast is my favorite Disney movie of all time (seriously, she loves books and finds the good in people... it's like me, but skinnier and prettier...) I will be giving it a chance! I already pre-ordered tickets to see it so I'm excited! Emmalee is obviously going to be my date. Since seeing the trailer, Emmalee has been obsessed! I mean, she loved the original one so I'm not surprised she loves this one too and if you know anything about Emmalee, it's that she gets really into whatever she is excited about. She asked if we could buy a special Belle costume to wear to the new movie and I happily obliged. I was lucky enough to connect with Great Pretenders last year at Toy Fair and remembered the gorgeous dresses they had set up. I know Great Pretenders offers amazing quality since the cheerleader outfit they sent us is still one of Emma's favorite dress up outfits! 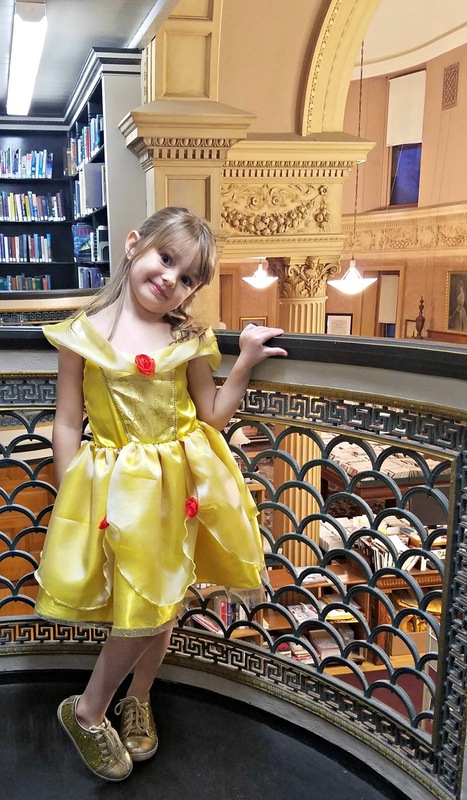 When our dress arrived, Emma insisted on putting it on immediately, of course. Then she asked if we could go to the "Belle Library". She's called it this since we moved here, as she's convinced it's the Beast's castle, and I can't really argue with her logic. 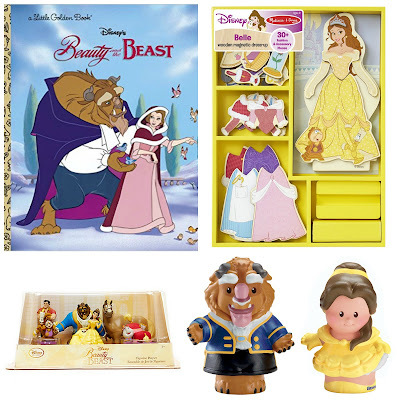 Find her little plush Belle here on Amazon! 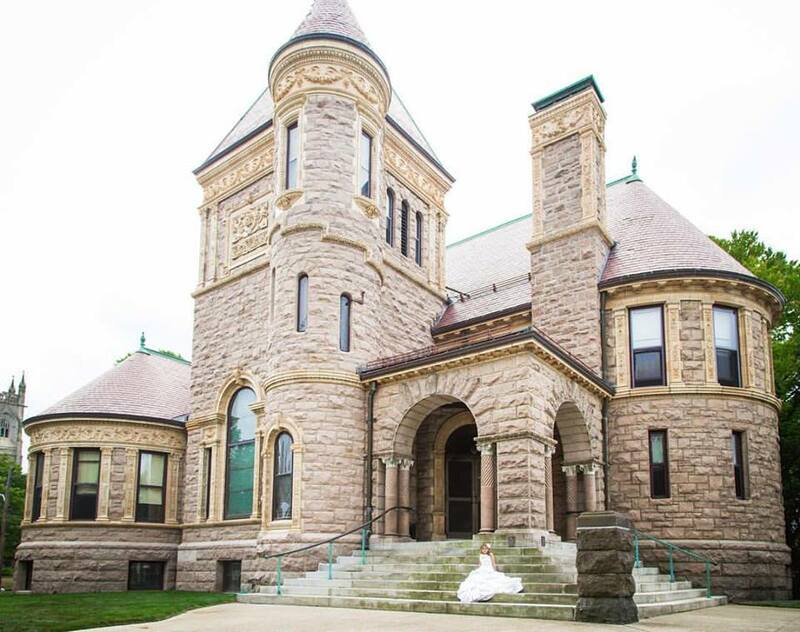 You can purchase the dress from Great Pretenders here. It's only $30 and if you use code 15FORSPRING, you can save 15% on your order! I seriously considered grabbing the matching doll dress for only $20! 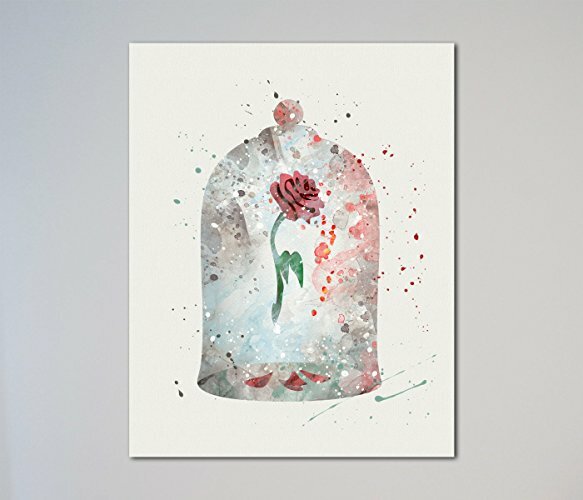 A few other things I want to buy include the Motion Picture Soundtrack and this gorgeous print. 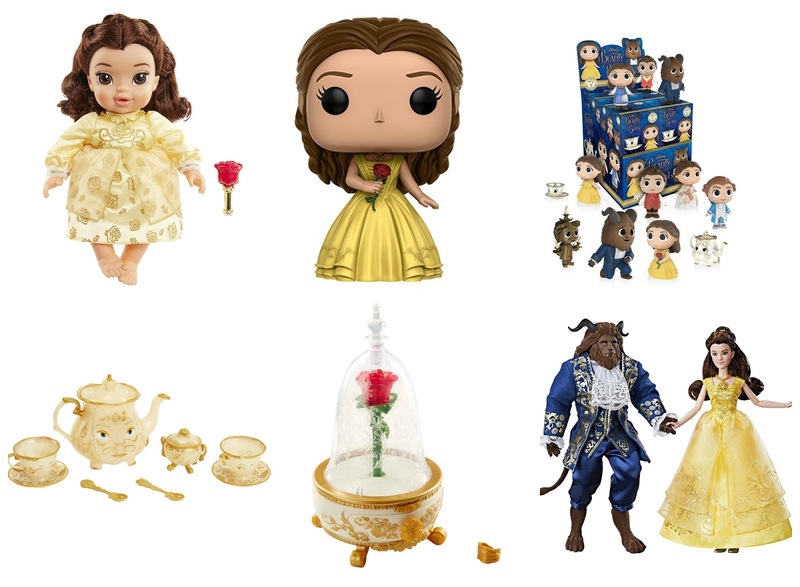 There's a TON of new Live Action items out including a Baby Belle Doll, a Belle Funko Pop figure and Mystery Minis, the newly designed Mrs Potts and Chip Tea set, The Enchanted Rose Jewelry Box, and Belle and Beast Dolls. But maybe you love the original more? I'm loving these toys that stay true to the original version as well, like This Little Golden Book, A Dress Up Wooden Doll Set from Melissa and Doug, my favorite Figure playset from Disney, or the adorable Little People Belle and Beast set! Seriously, I dare you to buy any of those items and not get more excited about the film! 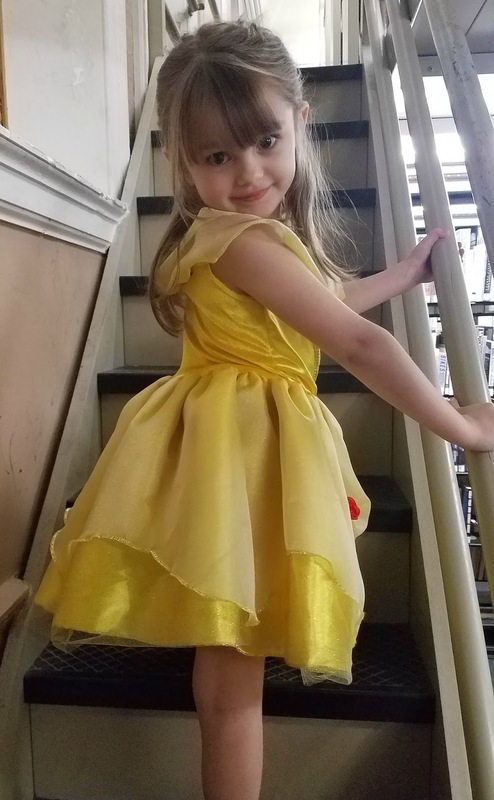 I can already promise you that Emmalee will be in the theater in her gorgeous Belle inspired dress from the Great Pretenders, watching the movie the weekend it comes out! Will you be seeing the new Live Action version of Beauty and the Beast? Feeling Cozy on a Snow Day Thanks to Honeywell!